Panorama by the Termen Fountain (Фонтан Термена) in Mariinsky Park, Kiev. The fountain is one of six produced by the Termena factory around 1900. 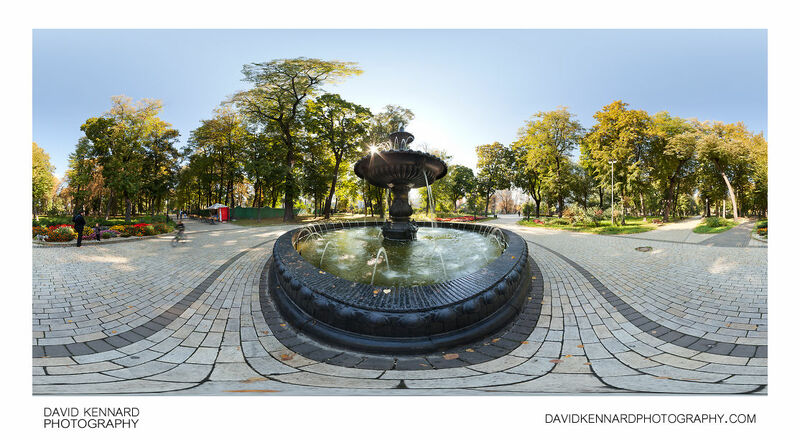 The fountains were placed at different locations in Kiev and offered a practical use as a source of clean water, as well as being for ornamental purposes.